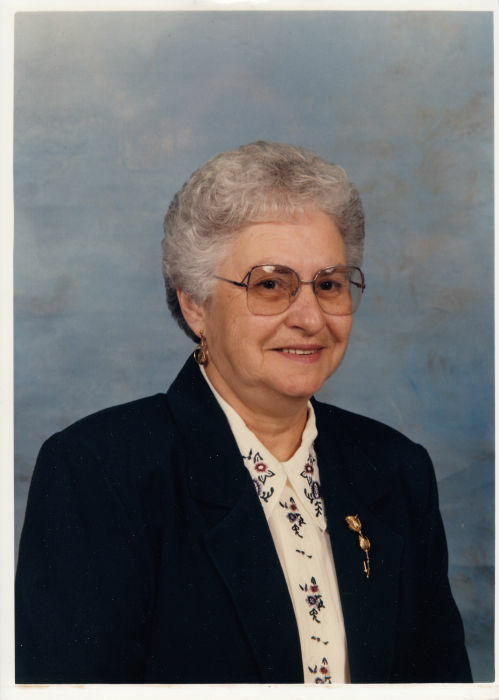 The family of Agnes Bilanchuk announce her passing on Saturday, November 10th, 2018. She was seventy-seven years of age. A visitation will be held on Wednesday, November 14 from 7:00 - 8:00pm at the Chapel of Preeceville Funeral Home. The funeral will be held on Thursday, November 15 at 11:00am at Trinity United Church with Reverend Miles Russell officiating. The interment will follow in Greenleaf Cemetery. Agnes Bilanchuk was born on March 30, 1941 on the family farm east of Endeavor, SK. Her parents were William and Maria (Marion) Wiwcharuk. Agnes attended Bear School. In 1957 she married Alex Bilanchuk and moved one mile from home to begin her new life. They had one son, Ron. Agnes was a career home maker. She grew a large and immaculate garden. She took pride in preserving her vegetables and she enjoyed cooking and baking. She made many perogies and sold them right up until this spring. She worked on the farm tending to chickens, pigs and cows and helped Alex with field work. In 1994 Alex and Agnes moved to the manor in Preecville and she enjoyed her retirement and living in town for the first time ever. Alex passed away shortly after their move and she relocated to Yorkton. She quickly made many friends and enjoyed going for coffee and cooking meals for others. Agnes had two grandsons in 1998 and 2001, whom she doted on and spent many hours caring for them. Agnes was predeceased by her husband Alex in 1994, her parents William and Maria, her in-laws John and Mary Bilanchuk, siblings John, Ed, Bill, Steve, Olga and Ann. She is survived by her son Ron, daughter-in-law Ronda, and two grandsons, Cole (Corianne) and Keegan, brother Mike Wiwcharuk (Pam) and sister Elsie Sawchuk (Norman), sisters-in-law Elaine Hrycenko and Agnes Grobowsky.